A few months ago a friend of this reviewer opined that Van Morrison must have made a few bob from the music that has been used on film soundtracks. The release of this album seems to vindicate that opinion. Of the nineteen tracks, seventeen are from feature films, one from the documentary of The Bands historic last concert "The Last Waltz" and to trap the Van Morrison completists who maybe thinks they own everything the man recorded, a previously unreleased live version of the classic "Moondance", the original of which featured in "An American Werewolf In London". Hmm, messing about with the concept there, I think. The songs are taken from most of the decades of Van The Mans forty years and more career, the most recent song being "Days Like This" from 1997 which featured in the Jack Nicholson starring "As Good As It Gets". To avoid the tedium of matching every track with the film it features in, other films beside the ones already mentioned are "The Outsiders", "Wild At Heart", "Pope Of Greenwich Village", "Clean and Sober", "Extreme Close-up", "Thelma and Louise", "King Of Comedy", "Born On The Fourth of July", "Patch Adams", "An Officer and A Gentleman", "French Kiss", "Fever Pitch", "One Fine Day", "Donovan Quick", "The Matchmaker" and "The Departed". The last named film features the weakest track being a live version of Pink Floyds "Comfortably Numb" taken from Roger Waters concert of The Wall in Berlin to celebrate the falling of the Berlin Wall. Morrison is only featured in a relatively minor role and the gloomy feel of the track jars with the uplifting feel of Morrison's music. "Gloria" and "Baby Please Don't Go", both from the 1960s when Morrison fronted "Them" and was part of the British Invasion of the American Charts, the groups individual take on the blues influencing myriad US garage bands. When "Them" disbanded, Morrison embarked on a solo career, his first recordings giving him, his first solo hit, "Brown Eyed Girl" in 1967. That track is probably the most played of his today on radio stations, closely followed by the raggle taggle inspired "Bright Side Of The Road". The folky side of the Belfast cowboy featured on his collaboration with Southern Irelands The Chieftans "Irish Heartbeat". If you prefer the romantic scale of his muse you get the orchestra laden "Have I Told You Lately" and the lesser known "Someone Like You". "Jackie Wilson Said (I'm Like Heaven When You Smile)" is perhaps better known in it's Dexy's Midnight Runners hit version, bit Van's original tribute to the soul and R&B legend is one of his very best tracks. If you have not got very much of Morrisons music in your collection this could act as a sort of alternative "Best Of". 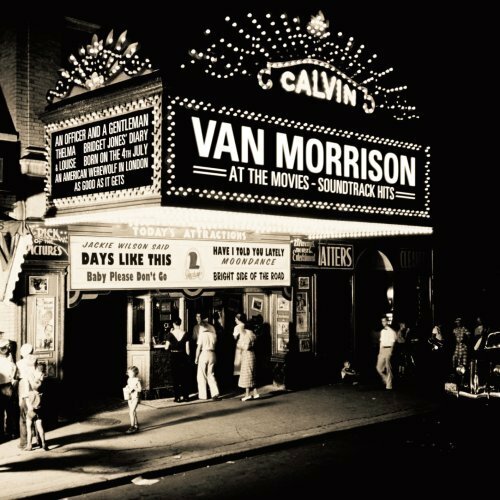 Can you name an artist with more film soundtracks than Van Morrison?